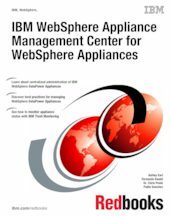 This IBM Redbooks® publication helps administrators of WebSphere DataPower Appliances to perform daily administration tasks by using WebSphere Appliance Management Center. The topics in this book include health monitoring of an environment, disaster recovery (secure backup and restore), firmware management, and environment promotion. This book also includes best practices, tips and techniques, and general recommendations for administrators of WebSphere DataPower Appliance deployments.